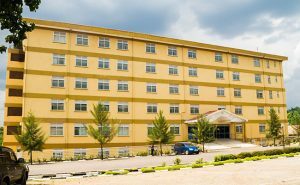 Ndejje university through its multiple programs (Day, Evening, Weekend and Distance Learning) offers and awards certificates in both undergraduate and postgraduate courses to a student population of about 8,000 both Ugandan and foreign. The University has a steady growth rate each academic year, with two intakes each year, that is, January and August intakes respectively. To be a leading private Christian based University in Uganda, offering quality academic and professional programs, and producing graduates of integrity. The Mission of the University is to provide Christian based high quality and innovative teaching, research and outreach services.